Welcome / Alumna Dana Lori Solomon Celebrates Her Book: “Ideological Battlegrounds: Entertainment to Disarm Divisive Propaganda”. Alumna Dana Lori Solomon Celebrates Her Book: “Ideological Battlegrounds: Entertainment to Disarm Divisive Propaganda”. Alumna Dana L. Solomon (formerly Dana Lori Chalmers), graduated from BFA Acting in 2003 and earned her PhD in Interdisciplinary Studies in 2014. Her research investigated the idea that entertainment could change people’s minds politically. Setting out to gather data about this by preparing a theatre production which was a redux version of The Merchant of Venice, it was about 55 minutes long and was repeated – once with a Jewish World Perspective and once with an Arab World Perspective. In one version the Shylock character was an outsider because he was Jewish and in the other he was an outsider because he was Arab. The third year BFA students performed in this production and from this, Dana gathered data in many different forms and wrote a compelling dissertation about her findings. Please join us on February 13 from 5:00 to 6:30, in the lobby of the Frederic Wood Theatre where the artists who were involved, Dana’s committee, and other supportive folks will celebrate the publishing of the book with an informal reception where Dana will read a segment from the book. Dr. Dana L. Solomon (née Chalmers) completed her PhD in Interdisciplinary Studies and her BFA in Acting at the University of British Columbia and her MA in Interdisciplinary Studies at Concordia University, Montreal. Her research interests focus on the powerful influence exerted by ideology on violent conflict and the way that entertainment (particularly live entertainment, film and video games) can be used to support or resist such beliefs. She has also conducted, published, and presented research on the influence of theatre and paratheatre on the Holocaust and the potential application of Harry Potter to genocide education and conflict resolution. 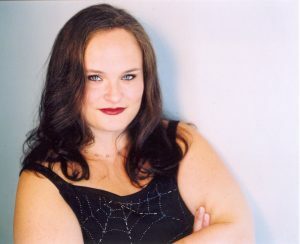 Prior to her academic career, Dana spent many years working as an actress and stage manager in numerous professional and semi-professional theatre companies in Canada and the UK. She currently owns her own business offering research, communications, and publication support, and she continues to develop her own work on using entertainment to oppose prejudice in a range of settings.